Sometimes you just want pancakes in the morning. If you have small kids, they probably want pancakes EVERY morning. However, they don't have a ton of nutritional value, and usually have very little protein. 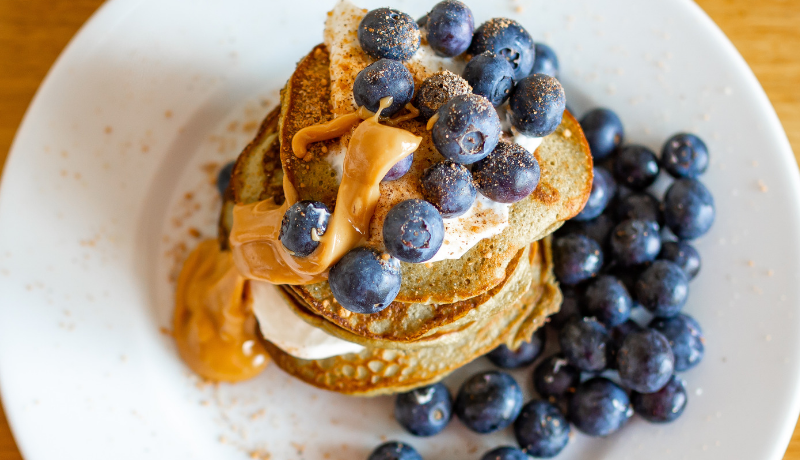 Adding 2 scoops of BN Labs Grass-Fed Whey Protein into the mix transforms your pancake breakfast into a complete meal, especially when topped with fresh, organic blueberries and creamy peanut butter! -Run all ingredients except toppings through a blender on low speed until batter is very smooth and consistent. -Heat a griddle or nonstick pan to medium high, and add small circles of batter- about 1/4 cup will make one pancake. -Warm up toppings for 20 seconds in the microwave, except whipped cream, and add to pancakes!